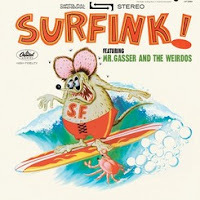 One of the rarest surf soundtrack albums of all time. Released in 1968, The Golden Breed was hailed as a magnificent, gorgeous film that captured surfing at the height of its longboard era. But it came out on the wave of shortboard competition and was quickly lost to history. The soundtrack is just as evocative and vivid as the aquatic footage and now, sourced from the original Capitol analog tapes, it sounds better than ever. Strictly limited, and will soon be catching a big wave outta here. The Beastie Boys will also release a vinyl deluxe edition of their most recent LP Hot Sauce Committee Pt 2. The set, limited to 5,000 copies in the U.S., includes a 60 page hardbound book, a 5.1 version of the album, videos, and more. 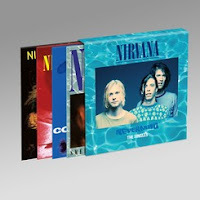 Box-set of four 7" picture sleeve singles in metal tin, includes RSD branded adapter and poster, all tracks are newly remastered and are appearing on vinyl for the first time. The set is limited to 10,000 copies in the U.S., and 5,700 copies international. 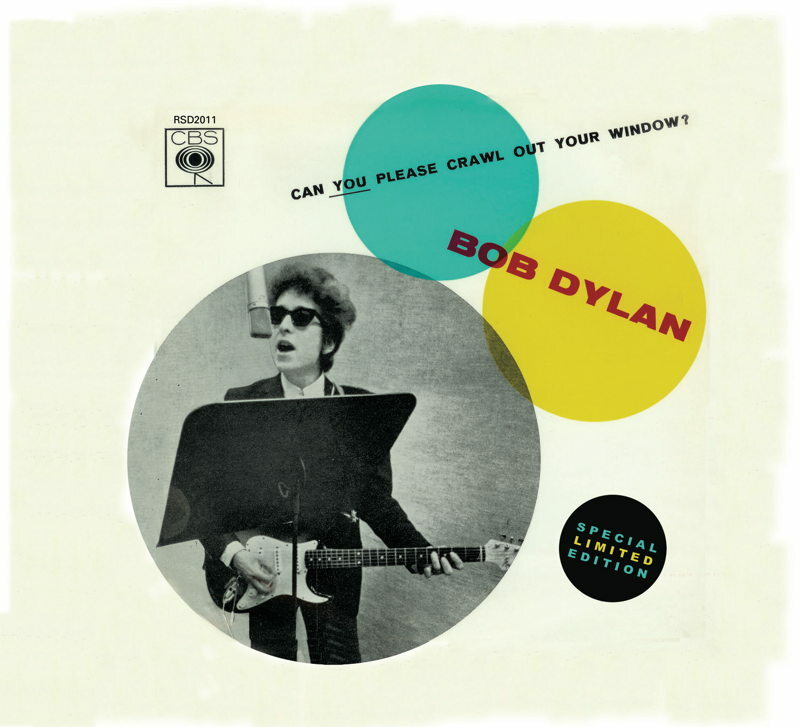 Bob Dylan - Can You Please Crawl Out Your Window? Box set of four 7" singles, limited, numbered, includes Dylan sticker. The set is limited to 5,000 copies in the U.S.
"Can You Please Crawl Out Your Window/Highway 61"
"Positively 4th St."/"From A Buick Six"
"Subterranean Homesick Blues"/"She Belongs To Me"
Four cover songs recorded live on August 16th, 2011 direct to quarter inch tape upstairs in the historic United Record Pressing party room. All analog and cut at 45RPM for the ultimate listening experience. 12" vinyl EP with custom jacket, stickered and enclosed in polybag. 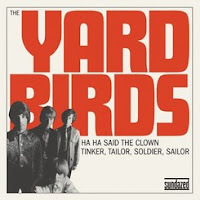 The versions of the classic Byrds tracks here were recorded at RCA Studios. The band's label, Columbia, wouldn't release them, so they were re-recorded at Columbia studios. These are the rare mono RCA Studios versions. These Dylan covers were recorded to be released as singles, but never were. Forty years later, this release marks the first time they've ever appeared in their intended format. "As Hope and Promise Fade"
Three originals and two cover songs recorded live on August 17th, 2011 direct to quarter inch tape upstairs in the historic United Record Pressing party room. 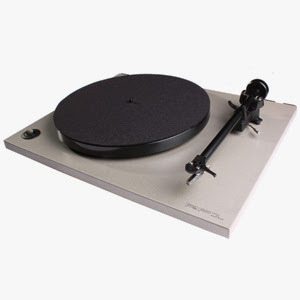 All analog and cut at 45RPM for the ultimate listening experience. 12" vinyl EP with custom jacket, stickered and enclosed in polybag. Intriguer Live - Start To Finish follows Crowded House from their first performance of the Intriguer Tour in Auckland, NZ to their last show of the US Tour in Denver, CO. Gearing up for the release of their sixth album "Intriguer" Crowded House performed to a sold out crowd at the Town Hall in Auckland on April 8th, 2010. Neil Finn selected some of the stand out performances from that night and compiled into a 50 minute DVD. Also included in this package is a 2 CD set of the final show of the 2010 tour which took place in Denver Colorado on Sept 9th, 2010. Dream Theater's best album available on vinyl for the very first time! Two album set special gatefold sleeve. 180 gram. Limited Edition. DETAILS = Format: Vinyl Label: Warner Bros.
Janis Joplin - Move Over! 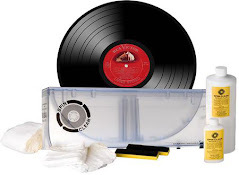 One box that collects four previously unreleased picture sleeve singles, including six never-before-released tracks and two rarities; the box includes photo print of Janis and a temporary tattoo replica of her tattoo. 12” EP of tracks Jimmy did with Tim Armstrong. Dead wax of the EP contains info on how fans can win limited edition Jimmy Cliff t-shirts.
" A Hard Rain's Gonna Fall"
This is the first American release of the bonus tracks that were originally only on the European version. 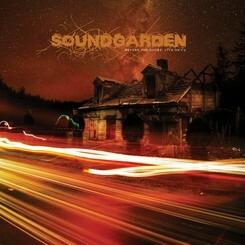 2010 Remastered LP. Includes 6 track White vinyl 12" and a poster. The set is limited to 5,000 copies in the U.S., and 1,700 copies international. A box set bringing together the band’s early albums Youth & Young Manhood, Aha Shake Heartbreak, Because of The Times, and a 4th LP made up of unreleased studio and live tracks picked by the band themselves. Also includes a 20 page booklet and a collectible poster. The set is limited to 3,250 copies in the U.S., and 1,200 international. This 'single that never was' brings together two tracks that came out of the petri dish that was The Albert Hotel in Greenwich Village, where The Lovin' Spoonful and The Paul Butterfield Blues Band traded licks, influences and ideas. "Night Owl Blues" contains the original extra 1:38 of harmonica honking madness. Mr Gasser and the Weirdos - Surfink! All the 10" official singles from Nevermind collected together for the first time, housed in an individually numbered slipcase. The set is limited to 5,000 copies in the U.S. SMELLS LIKE TEEN SPIRIT single: "Smells Like Teen Spirit"/"Drain You"/"Even in His Youth"/"Aneurysm"
COME AS YOU ARE SINGLE: "Come As You Are"/"Endless, Nameless"/"School (live)"/"Drain You (live)"
IN BLOOM SINGLE: "In Bloom"/"Silver (live)"/"Polly (live)"
The first of two 10" Eps featuring six demos from the Director's Cut re-release of Quadrophenia, produced, authorized and overseen by Pete Townshend. This individually numbered 10" EP and the one scheduled for Record Store Day 2012 provide a unique insight into the creation of this landmark album. 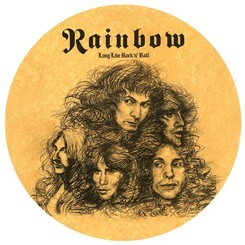 Party Time was originally released as part of the deluxe version of the band's most recent studio album, and the band wanted this disc of outtakes and previously released material to come out as its own disc. 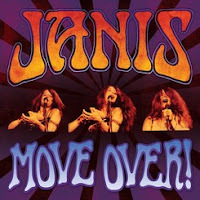 Created from four-track recordings which the band mixed, dubbed and circulated as demos. Trey has said The White Tape exemplifies, perhaps more than any other studio effort, the band's unbridled creative freedom of the day. 1. "Another Brick in the Wall"/"One of My Turns"
3. "Run Like Hell"/"Don't Leave Me Now"
12” Picture Disc. Each deluxe picture disc will be house in a deluxe heavy poly bag sleeve with Metal Club Mktg Sitcker and special numbered hologram sticker in lower right corner. The set is limited to 5,170 copies in the U.S.
Red double vinyl reissue of one of the RHCP’s most loved albums. The funkier side of SJDK. The undisputable reigning champions of soul give 12 blazing hot tracks-made famous in their infamous soul revue their long overdue album debut. Majority unreleased---several tracks from 45’s and from Daptone Gold. Rare soundcheck performances from Soundgarden's 1996 tour, available for the first time on numbered 10" colored vinyl. Includes a freaked out version of The Doors' "Waiting For The Sun" The set is limited to 4,000 copies in the US. Featuring incredible, era defining images of Syd at his most enigmatic, taken by legendary photographer Mick Rock. The box also contains an exclusive 7” single ‘Octopus’ b/w ‘Golden Hair’ in a picture bag and on yellow heavyweight vinyl’. Vinyl release of seven live tracks from the Mojo tour. A live recording of tracks from a radio station concert. "Rivers Gonna Rise"/"Everyday Will Be Like A Holiday"
"Art Of Almost (ALT Version)"
A 1967 US single that sank quickly, this re-issue, sourced from the original analog mono masters, showcases Jimmy Page's use of reverse echo on the A-side track, in an attempt to salvage an "extremely silly song", transforming it into a swelling, psychedelic melange. A 1967 US single that was never released in the UK. The B-side marks Jimmy Page's first use of a bow on a recording.